On this day in 1877, Thomas Edison invented the phonograph. 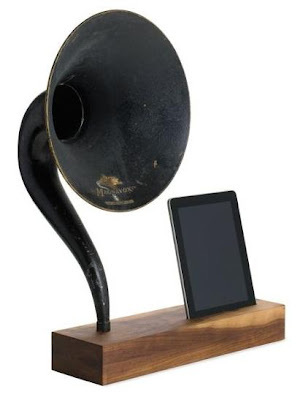 The iconic horn of that technological marvel has been repurposed as an acoustic amplifier for a more recent marvel, the iPad. It is the iVictrola.